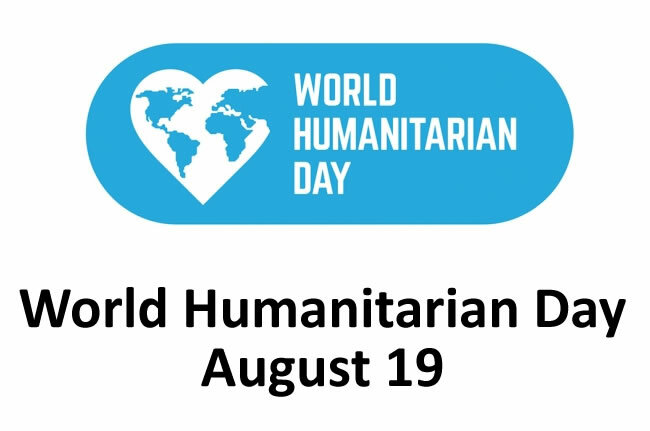 World Humanitarian Day (August 19) is an opportunity to pay tribute to humanitarian personnel who are working for the humanitarian cause, and to commemorate those who have lost their lives while working for humanitarian causes. It is also a day create awareness on humanitarian needs worldwide and the importance of international cooperation in meeting these needs. It marks the anniversary of the 2003 bombing of the UN headquarters in Baghdad, Iraq, when 22 humanitarian workers lost their lives, including the UN Special Representative in Iraq, Sérgio Vieira de Mello. World Humanitarian Day is the outcome of the relentless efforts of the Sérgio Vieira de Mello Foundation and his family, with the supports of the Ambassadors of France, Switzerland, Japan and Brazil in both Geneva and New York who helped to table and steer the draft Resolution through the General Assembly. The European Union(EU) and its Relationship with Haiti. The European Union maintains relations and cooperation with Haiti both on the bilateral and regional basis. "EU-CELAC or The European Union and Latin American and Caribbean Community (CELAC stands for Comunidad de Estados Latinoamericanos y Caribeños, in Spanish) have enjoyed a privileged relations since the formation of a strategic partnership in the first bi-regional Summit, held in Rio de Janeiro (Brazil) in 1999. 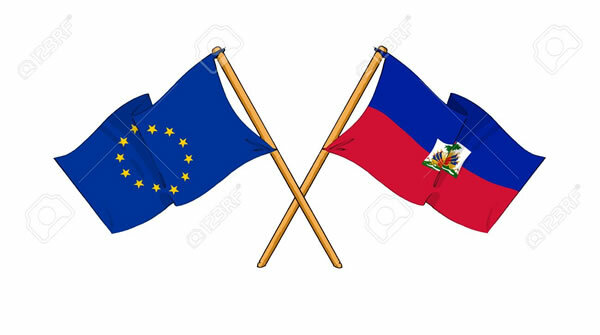 The relationship between Haiti and EU stands on three main pillars based on the Cotonou agreement; they are: Political cooperation, Trade and commerce, and Development cooperation. The Cotonou Agreement forms the legal basis for EU-Haiti relations. The agreement is actually an ACP-EU Partnership Agreement, signed in Cotonou (in Benin) on 23 June 2000. It was concluded for a 20-year period from 2000 to 2020. It is a framework for the EU's relations with 79 countries from Africa, the Caribbean and the Pacific (ACP). The fundamental principles of the Cotonou Agreement include equality of partners, global participation (States and non-state actors), dialogue and regionalization. 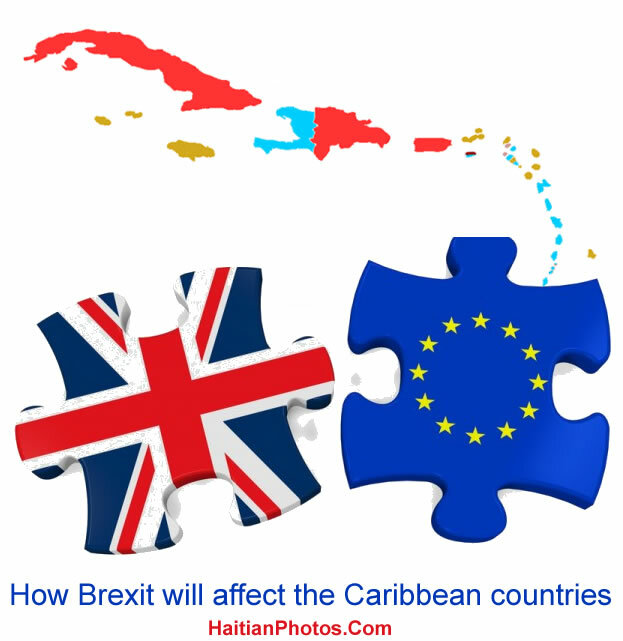 Will the break-up between UK and the European union or how it comes to be called Brexit will affect the Caribbean countries? Before Britain joined the then European Economic Community in 1973, the trades between Britain and the 12 Caribbean countries were conducted under a Commonwealth preference scheme, because Britain was many of these countries former colonial ruler. But when Britain joined the European Economic Community in 1973, it submitted all authority of its trade agreements to such a community. Ever since all British trade, aid, and investment relations between the 12 Caribbean countries have been conducted by the EU and these relations were regularly formalized successively in the Cotonou Agreement, Lome Convention and the Economic Partnership Agreement (EPA). When Britain will officially exit EU, these 12 Caribbean countries will not have any formal or structured trade relationship with Britain, neither the Caribbean countries will have any trade agreement with the EU, because the majority of their exports were meant for the British market. The British market, British contribution to foreign aid, investment and many other benefits and dependency will disappear from the EU unless the Caribbean countries formulate plans to deal with the serious consequences of the Brexit. They should also watch how the EU restructures itself without Britain. Here is a picture of Kenneth Merten and Peter Mulrean at the chamber of Deputy with Cholzer Chancy. 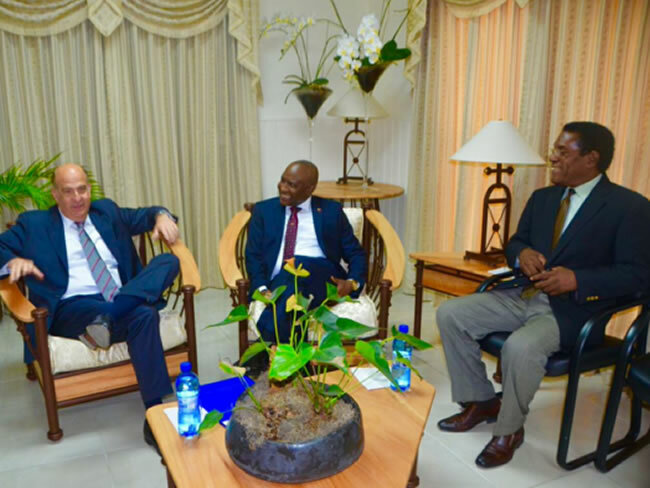 On Thursday, April 28, 2016, Kenneth Merten, the Special Coordinator for Haiti and Peter Mulrean, the US Ambassador to Haiti, visited the Haitian Senate to assess the situation of the 2015 electoral process and ensure the installation of a democratically elected government in Haiti. They were on a mission in Haiti to exert pressure on the Haitian Senators and Deputies to stop the creation of an independent verification commission as per interim president Jocelerme Privert's plan and accept the election result which the majority of Haitians consider was marred by fraud. However, Privert did not bow down to the U.S pressure. He installed the Independent Commission for Electoral Evaluation and Verification (CIEVE) with the objectives of reviewing the previous election process with published results and to decide accordingly whether to move ahead with the unfinished election. In the meantime, such Commission has submitted its report on May 30, 2016, audited by a five-member panel. In its report, the Commission has recommended rejecting the disputed results of last year's first-round presidential election as it appears to be tainted by massive fraud and re-start the election from the beginning again. As per Francois Benoit, the leader of the CIEVE, it appeared that electoral fraud was masterminded at a "high level." 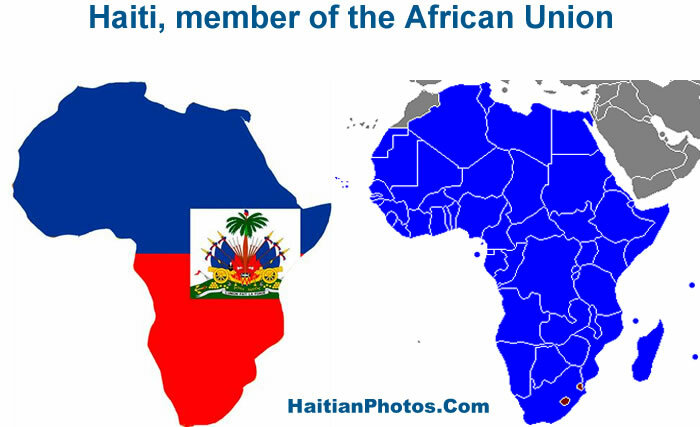 Haiti will become a full member of the African Union in June 2016. Haiti may not have any geographic ties to Africa, but as an impoverished Caribbean state with its political and cultural legacy, it is definitely attached to the continent and the union could be of mutual benefit to the two. With its admittance in the next African Union summit in June 2016 in Lilongwe, the capital of Malawi, Haiti will be the only first member nation with no geographical connection to join the continent. 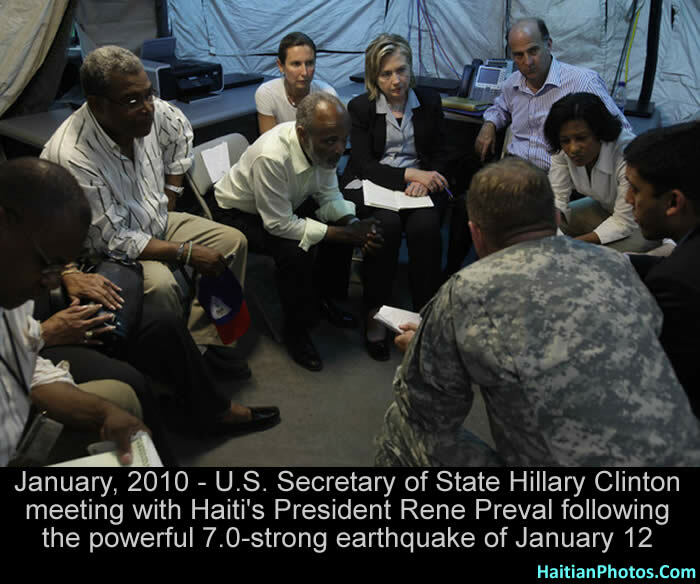 In 2012, Haiti indicated its interest to move from its observer status to member status. 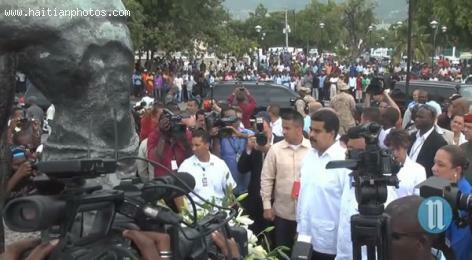 Haiti always had a special relationship with Africa. Between 1307 and 1312, Haiti was the first Caribbean country to engage in pre-Columbian trade with Africa, where Africans cultivated the banana crop and established settlements in Haiti. In a speech in 2009, the deposed late Libyan leader Muammar Gaddafi, then chairman of the African Union said, one day there will be a United States of Africa and it will include "Caribbean islands with African populations" such as Haiti, Jamaica, and the Dominican Republic. 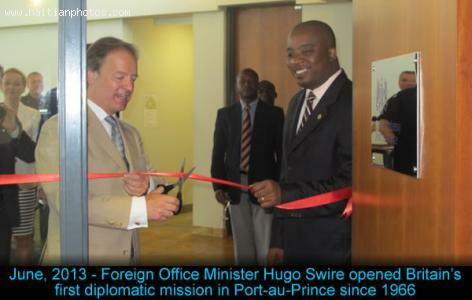 The Embassy is to be located in the same complex of the Canadian Embassy in Haiti. This decision was taken by the British government to expand its diplomatic network and influences in the Caribbean. As part of the United Kingdom, England has a constitutional monarchy and parliamentary system. The Kingdom of Great Britain is made of England and Scotland. Currently, England is governed directly by the Parliament of the United Kingdom. In the House of Commons, also known as the lower house of the British Parliament, there are 532 Members of Parliament. The House of Commons is located at the Palace of Westminster. In a referendum in the United Kingdom, the country has voted to leave the European Union. 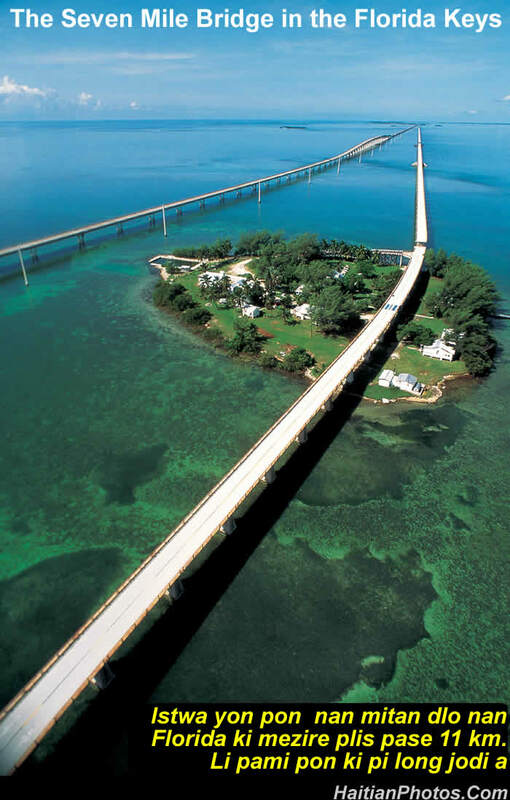 Istwa yon pon nan mitan dlo nan Florida ki mezire plis pase 11 km. Li pami pon ki pi long jodi a.